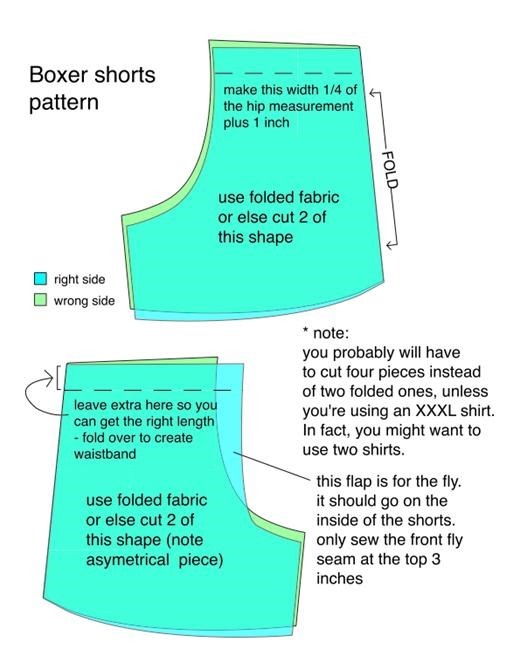 Logan of Supernaturale has posted instructions how to make a pair of homemade undies out of your favorite old tees. Logan says, "I know you've got them, lurking in drawers, the back of the closet, in the "giveaway" pile: those T-shirts that are, for various reasons, both unwearable and indispensable. They are too small, too big, too short, have a stain, a hole, or some other flaw, and yet you cannot bear to part with them. I took my old t-shirts and gave them new life. They were reincarnated as underwear." Clever idea. Makes a good gift, or a nice surprise for whomever happens to see you in your underwear... If you're interested in hacking together more than a pair of underwear, GiannyL also has several resourceful DIY fashion projects. 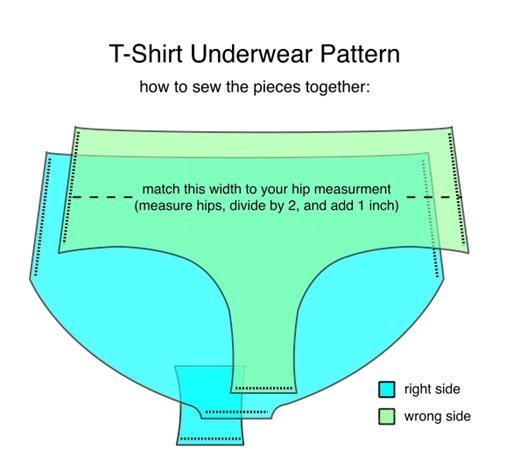 Patterns pictured below (women's undies + men's boxers). If you'd like to make your own, download them here. as a ceramists, i have used old t-shirts to wrap my coils to keep them from drying out too fast; and i have uses bits to aid in pulling up on the wheel, especially when my hands are super sensitive. 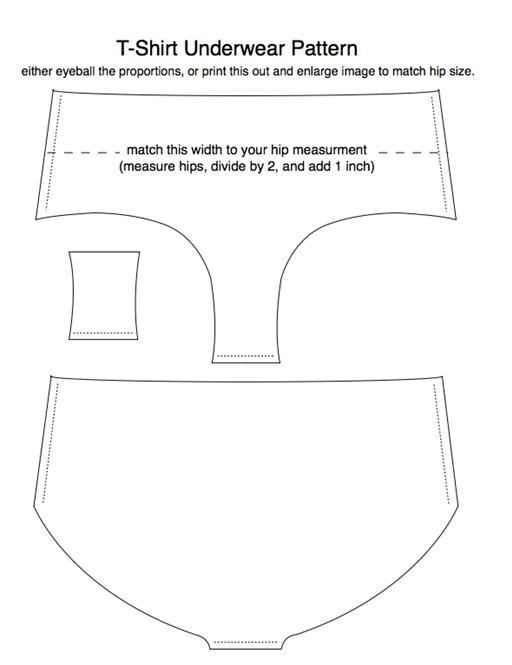 I'm going to dig out that lime-green tee and try making a pair of drawers...right now! C U Later! terrific idea i am going to try it. t shirts for underwear great idea. you can use other old pieces of clothing, pajamas for example?